Play the classical violin at advanced level with this private music class, taught by soloist and chamber musician, Hartmut Richter. German-born violinist Hartmut Richter is a skilled violin soloist and chamber musician. Richter studied at the Hanover Academy of Music, Germany, before completing his learning with a soloist diploma at the Nuremberg Academy of Music under Lydia Dubrovskaya. Richter won several first prizes in German national music competitions and has received scholarships for international masterclasses working with well-known music professors including Herman Krebbers and Robert Szreder. Alongside his performing career, Richter is a composer and dedicated violin teacher. He currently offers private lessons from his home in North London, teaching students of all ages and abilities. An advanced adult class will allow you to polish and perfect your technical violin skills along with taking your understanding of musical theory to the deepest level. Advanced students may wish to use one-to-one lessons in order to prepare for important auditions, performances or higher level exams. Richter shares his extensive performance experience with his students along with his passion for the violin and its endless capabilities. With a one-to-one lesson, you'll enjoy his undivided attention, allowing you to progress at the fastest possible pace. 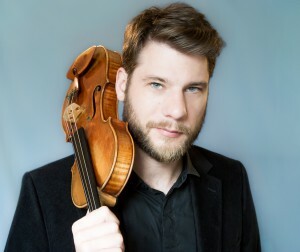 Harmut Richter is an extremely talented, German born violinist, soloist and chamber musician now based in London. So if you’re looking for violin or piano lessons, you’ve certainly landed in the right place. Apart from his performing career, Hartmut is a dedicated and passionate teacher with experience working with aspiring musicians of all ages and abilities across London. He also teaches at the North London Conservatoire as well as privately in North London, and together with pianist Stephen Baron – Head of Piano at the North London Conservatoire, Hartmut offers workshops for pupils and children looking to develop and improve their playing skills.